Despite the rabbits cute reputation as a much loved pet, they are also a major pest species in the UK. This mammal is largely underestimated by most but their capabilities to breed as well as, chew, eat and dig through most landscapes is second to none. For those whose property falls victim to the destruction caused by rabbits it poses problems in a variety of ways depending on the land use. The problems will only multiply if the rabbit population is left unregulated. As it stands the wild rabbits cost the tax payer approximately £100 million per year. Rabbits are burrowing animals living in tunnels excavated in hedge banks, under thickets of hawthorn and bramble and in similar locations. They mainly emerge from their burrows at night to feed on plants. Each rabbit eats about 500g (1 lb) of green matter each day, so large colonies have a marked effect on vegetation near their warrens. The rabbit's long ears, which can be more than 10 cm (4 in) long, are probably an adaptation for detecting predators. They have large, powerful hind legs. The two front paws have 5 toes and hind feet have 4 toes. They are plantigrade animals while at rest; however, they move around on their toes while running, assuming a more digitigrade form. Wild rabbits do not differ much in their body proportions or stance, with full, egg-shaped bodies. Their size can range anywhere from 20 cm (8 in) in length and 0.4 kg in weight to 50 cm (20 in) and more than 2 kg. The fur is most commonly long and soft, with colors such as shades of brown, grey, and buff. The tail is a little plume of brownish fur and that famous white tail flash as they run. Rabbits have a very rapid reproductive rate. Due to climate change rabbits will breed all year round. The average size of the litter varies but is usually between 4 and 8 kits(babies). A kit can be weaned at about 4 to 5 weeks of age. This means in one season a single female rabbit can produce as many as 800 children, grandchildren, and great-grandchildren. A doe is ready to breed at about 6 months of age, and a buck at about 7 months. Courtship and mating are very brief, lasting only 30 to 40 seconds. Courtship behavior involves licking, sniffing, and following the doe. Spraying urine is also a common sexual behavior. Female rabbits are reflex ovulators. The female rabbit also may or may not lose clumps of hair during the gestation period. Due to the nutritious nature of rabbit milk kits only need to be nursed for a few minutes once or twice a day. At 10 to 11 days after birth the baby rabbits' eyes open and they start eating on their own at around 14 days old. Although born naked, they form a soft baby coat of hair within a few days. At the age of 5 to 6 weeks the soft baby coat is replaced with a pre-adult coat. At about 6 to 8 months of age this intermediate coat is replaced by the final adult coat, which is shed twice a year thereafter. 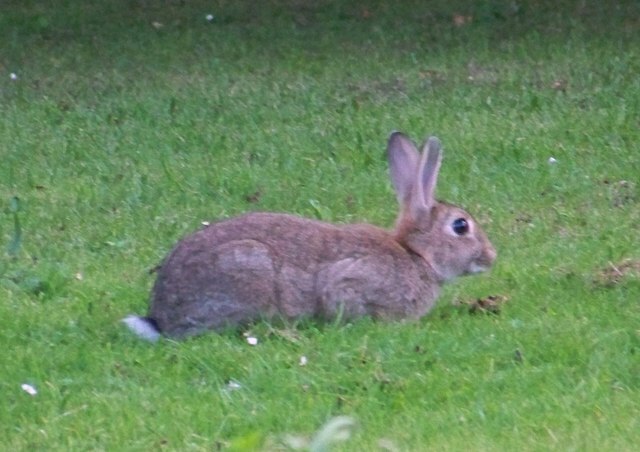 At Town and Country Pest Control we specialise in rabbit control, using several methods to control the problem rabbit population. Under the Pest Act 1954, any land owner is legally obliged to control any rabbit infestation. Ferreting – The use of ferrets for the hunting and flushing of rabbits from their warrens is called ferreting the most common form of ferreting is with purse nets, nets are placed over the holes around the warren and a ferret is entered to flush the rabbits from there subterranean home and into the purse nets were they are cleanly dispatched by hand. Ferreting can also be done using lurchers and terriers, were the rabbits are bolted for the dogs to catch and retrieve. Ferreting using hawks can be productive also, this is where hawks are flown at the bolted rabbits. Bolted rabbits can also be shot. Shooting – During the day, a silenced air rifle can be used to shoot any rabbits sat away from the burrow. At night this can be done using a high powered lamp/torch to locate the rabbit, at which point can be dispatched by the air rifle or gun. Long Netting – Sadly, long netting is a dying art. Hunting with netting is a very easy and very powerful pest control method. This method could be used on any large plot of land and usually done at night. It requires a lot of patience and care, but also stealth and speed. It is used by setting the long net in front of where the rabbits are likely to run(their burrow). Once startled, the rabbits will then head into the awaiting nets to be humanely dispatched. Gassing – As a general rule, gassing treatments against rabbits will be carried out most effectively during the months from October to February. Numbers will then be at their lowest and burrow entrances will be easier to find amongst the sparse vegetation. Earlier treatments may be required where autumn cereals are being heavily grazed. This can only be done by a professional pest controller. Drop Traps – These are live traps that once installed, rabbits quickly learn to use the trap tunnel to gain access to their feeding area through a rabbit proof fence and in a very short time tracks from passing rabbits attract more rabbits. Then the trap is set….catching any rabbit using the trap to move back to its home. IOS development with Incode Group on time.